Future Rides: After more than 20 verified long distance rides, my wife and I plan to slow down a little bit and put the focus on tourist rides. There are still 3 extreme rides that I will attempt. 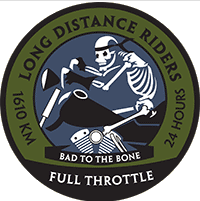 Extreme rides means more than 1500 miles in under 24 hours. Interesting Facts: My wife and I both are passed the age of 60. We are together on motorcycles – and married for 40 years. Further hobbies include shooting and athletic sports. I have been riding motorcycles since 1968. In 2011 while riding a Honda Gold Wing and Yamaha FJR1300, I completed 3-SS2000Ks, 3-BB1500s, 3-BB2500Ks, 1-SS1000, 1-SS1600K, and 1-SS2000. 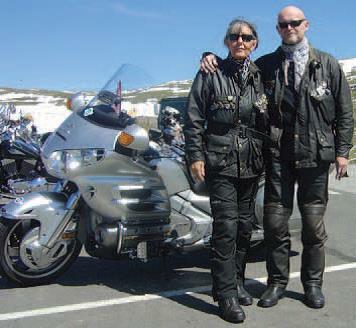 My wife Doris and I also have been awarded “Germany’s Toughest Riders in 2012”, and the Mile Eater SILVER Award in November 2012.